The standard refrigerator size is actually a misnomer. The refrigerator dimensions are dependent on what style of appliance you prefer. The style of refrigerator you should buy usually depends on any size restrictions you may have in your space. A French-door refrigerator with a bottom pull-out freezer is one of the larger sizes of refrigerators, whereas a traditional full-size refrigerator can usually be slid into standard spaces that are specifically carved out for the appliance. A refrigerator sizes chart can help you to find the right refrigerator for your existing space. Basically, there are two depths for refrigerators: counter and standard. A counter-depth refrigerator will be flush with your cabinets and countertops for a streamlined look. They typically have less volume than a standard-size refrigerator that sticks out about 6 inches from where the cabinets and counters stop. Make sure to measure the space where the doors and freezer will open so they have enough room to swing without hitting a kitchen island, adjacent counter or other appliance. The refrigerator will need 2.5 inches of space between the wall and the hinge side of the door to freely swing open. To ensure that the refrigerator will fit in your existing space, measure from the floor to the top of the cabinet and from the countertop edge to the wall or other barriers. Subtract at least a half of an inch from the width and depth. This will ensure that the refrigerator will slide into place without getting banged up by the surrounding cabinets and countertops that protrude into the space. The refrigerator will need space on all of its sides for air flow. This helps to keep the motor running smoothly. You also want to be able to easily slide the appliance in and out of its space in order to clean the coils and water pans and perform annual upkeep. 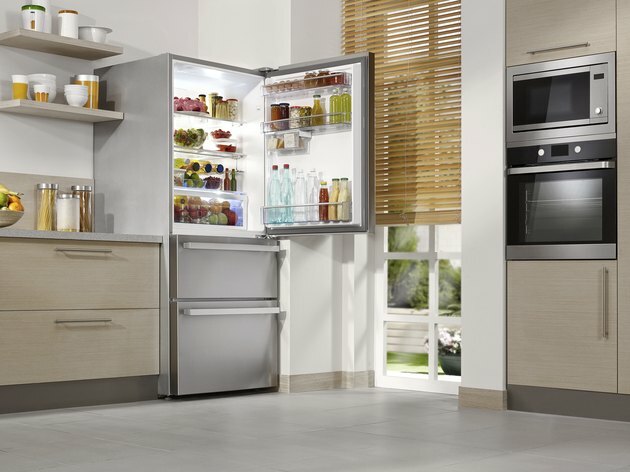 The side-by-side type of refrigerator has two vertical doors that separate the fresh food from the freezer. 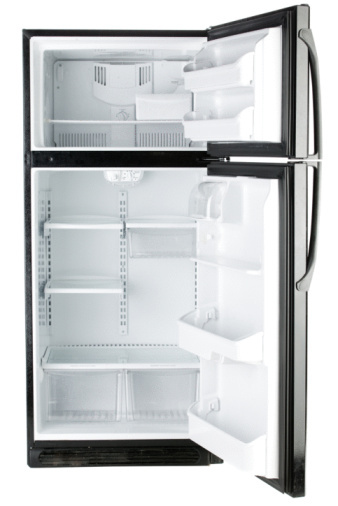 The top-mount freezer refrigerator can be significantly smaller in depth and width than its counterparts. It is a traditional style of fridge that is generally smaller in volume than more modern refrigerators. The French-door refrigerator comes in a wide variety of styles. It can have an icemaker in the fresh food compartment so it can produce ice from a convenient nook in the door or have an icemaker in the freezer located at the bottom. It comes in three-, four- and five-drawer varieties. A separate third drawer is a handy option for large families who don't want the entire fridge to have to be opened to retrieve snacks or drinks throughout the day. An under-counter refrigerator can be a second fridge for your kitchen or a primary fridge for a small space. 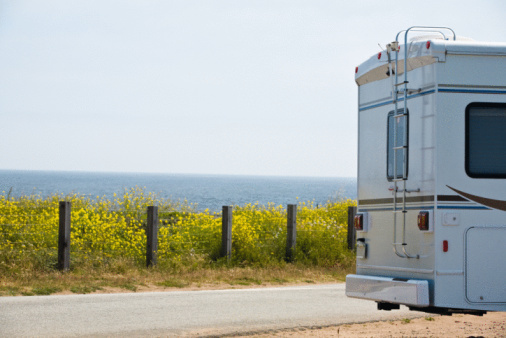 They can range from 24 inches wide with 5.6 cubic feet of space to more than double that. They are typically counter height, which is 36 inches from the floor.